Click HERE to SHOP our collection. Selection of turquoise nugget necklaces. 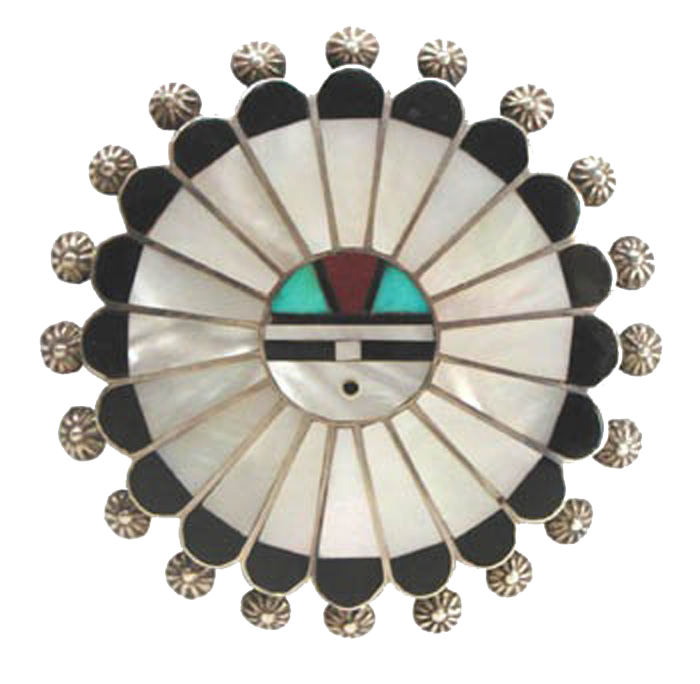 At Sunface Indian Jewelry we specialize in Native American jewelry, fetishes, and pawn from the Southwestern United States. Surface carries only the highest quality authentic handcrafted sterling silver jewelry. All stones are genuine and all shells are natural. The quality and fine craftsmanship of our jewelry is guaranteed. We want our customers to be completely satisfied. Repairs due to workmanship are free of charge and we give full refunds less the shipping costs on any merchandise returned within 30 days. We accept Visa, Mastercard, Discover, American Express, PayPal, personal checks or even cash as payment. Our easy Lay-A-Way plans are flexible and based on your needs. Sunface Indian Jewelry is owned and operated by RaeLynne and Gil Toperoff. They have been traveling to the pueblos and reservations of New Mexico and Arizona since the early 1970's where they fell in love with the setting, culture, and jewelry. Over the years they have developed relationships with many of the artists who create the jewelry they sell. They have detailed knowledge about the pieces that they sell. When you buy jewelry from the Toperoffs you don’t just buy an item, you buy a story. They have developed a deep respect and appreciation for the Native American people and their culture. They hope that by buying and selling these gorgeous pieces of jewelry and fetishes that they can help inform and enlighten others about Native American culture and artistry. For more information see the owners page. At Sunface Indian Jewelry we specialize in Native American jewelry, fetishes, and pawn. We purchase pieces directly from the artists whenever possible. Sunface carries only the highest quality authentic handcrafted sterling silver pieces. All stones are genuine and all shells are natural. "Every piece is beautiful and unique. And, I love that each one has its own story."